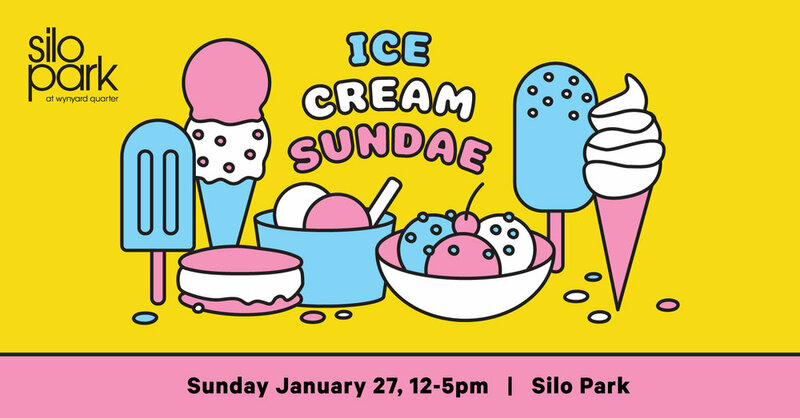 Auckland's most loved Ice Cream aficionados will descend upon Silo Park with an abundance of sweet treats from 12 noon - 5pm. Silo Park will stay open until 6pm. Dr Feelgood, Egg Loo, MELT by NZ Natural (Emerald Foods), Movenpick (Emerald Foods), Hawaiian Pineapple Hut, Kiwi Snow, Mr Whippy, Nice Blocks, Little island, Swips, Tip Top Trumpet, Waffle Supreme, Wahiki , Iso Cream, Lalele Organics, Lil' Donut Crew, Little 'Lato, Mister Gelato, The Gelato Workshop, Cream - Real Fruit Ice Cream, Danish Delight, Flossy's Ice Cream, Grown Up Donuts.